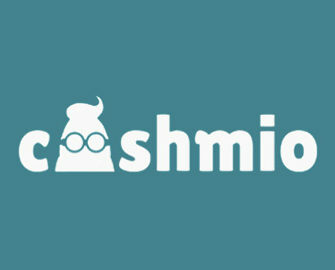 Cashmio Casino – A Christmas Story | Week 4! Open a new gift box, every day until New Year’s Eve! 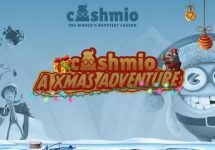 The Christmas Calendar at Cashmio, the world’s happiest casino, is heading into its fourth week, filled to the brim with differently colored presents, each representing one festive reward. Open one every day until the end of the year to enjoy Free Spins, no deposit needed or on deposit, reload bonuses, wager rewards and more. Daily Champions Races – Race for glory and Free Spins and bragging rights on top as winners are published on the promotion page. Every day, the crew at Cashmio is selecting player favorites that will be the competition slots for a daily 6-hour race at the end of which the TOP10 scorers will be rewarded with Free Spins or MegaDega Spins. On weekends, players are invited to two or three races, providing more chances to win those coveted prizes. Ready, set, go! Rush to Cashmio Casino and open today’s gift box on their Christmas 2017 Calendar to reveal their festive rewards and prizes. Every day, until the end of the year, players can open one gift box only. Different colors point to the reward they can expect to be in the box. Most offers require a deposit to claim the Christmas treat. Rewards can be Free Spins, no deposit needed or on deposit, reload bonuses, wager rewards and surprise bonuses, all instantly added once the requirements in the reward description are met. 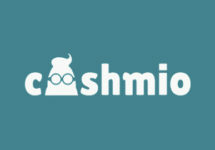 Wagering requirements are 40x bonus and 40x FS winnings, subject to the Cashmio Casino bonus terms and conditions. 18th December 2017: Deposit €10 to instantly receive 10 Free Spins on Secrets of Christmas™. 19th December 2017: Deposit €10 to instantly receive 10 Free Spins on Mighty Arthur. 20th December 2017: Deposit €10 to instantly receive 20 Free Spins on Warlords: Crystals of Power™. 22nd December 2017: Deposit €10 to instantly receive 10 Free Spins on Jack Hammer. 23rd December 2017: Deposit €10 to instantly receive 20 Free Spins on Lost Island. 24th December 2017: Deposit €10 to instantly receive 20 Free Spins on Wins of Fortune. 25th December 2017: Deposit €10 to instantly receive 20 Free Spins on Glow. 26th December 2017: Deposit €10 to instantly receive 20 Free Spins on Fruit Shop Christmas Edition. 27th December 2017: Deposit €10 to instantly receive 10 Free Spins on Flowers Christmas Edition. 28th December 2017: Deposit €10 to instantly receive 10 Free Spins on Crystal Queen. 29th December 2017: Deposit €10 to instantly receive 10 Free Spins on Wolf Cub™. 30th December 2017: Deposit €10 to instantly receive 10 Free Spins on Sticky Bandits. 31st December 2017: Deposit €10 to instantly receive 20 Free Spins on Starburst™. This brings the 2017 Christmas campaign at Cashmio to a starry end. We hope you enjoyed all the extra spins and rewards.